Retired baseball player Curt Schilling may have thought twice about sending a tweet to his daughter congratulating her on her acceptance to college if he would have known where it would lead them. The post recounts the awful experience that Schilling and his daughter Gabby had with Twitter cyberbullies and trolls, and reminds parents everywhere why it’s so important to monitor their kids’ social media accounts and talk to them about how to protect them online. Schilling was a proud father congratulating his daughter on going to college and joining the school’s softball team. He wanted to share that pride with fans and followers. But he got more than he bargained for when the tweets sent in response to his message went from congratulatory to downright vulgar. The responses to Schilling’s post became filled with hateful, hurtful, and disgusting messages referencing his teenage daughter. How Bad Can It Really Be? Bad. We aren’t going to publish the terrible tweets that were sent to Schilling and later published on his blog. But if you don’t believe how bad it can really be, you can take a look at the tweets for yourself. The sad truth is that this is not an uncommon situation on social media. Everyday cyberbullies and trolls send harassing and vulgar messages to people they know and people they don’t know. Schilling admits that there are a lot of people that don’t like him as he is an outspoken conservative and former Red Sox player. But not even his decades spent living in a dorm room, hanging in a clubhouse, and playing on the field could have prepared him for what he found on his Twitter stream. What’s In It for the Cyberbullies and Trolls? Online harassment can be put into two categories. Psychology Today defines those categories as cyberbullying and trolling. Cyberbullying is usually initiated by someone the victim knows. Trolling, on the other hand, is usually done by someone the victim doesn’t know. In Schilling’s case, it seems to be a little of both. There were targets against him directly, and others that just seemed to stir the pot. Parents need to keep an eye out for both types of harassment as each can be equally harmful to children. Sometimes it takes a parent witnessing social media bullying first hand to really understand the depths and the severity of online harassment. But through Schilling’s experience, parents can see just how important it is to monitor their kids’ social media accounts. Parents need to stay vigilant and that means getting involved with their child’s digital life and social media world. They need to make sure that their child is not a target on social media or witnessing vulgar harassment that is sent to other users. Do You Know the Right Things to Do if Your Child Is Bullied? Do You Know Enough About Cyberbullying to Protect Your Children? When your child is the victim of cyberbullying or online harassment, there is nothing you want to do more than step in and make things right. Cyberbullying is complicated, and every situation is different. The content of the messages will have various degrees of severity, and the parties involved — the kids, parents and social officials — can make the situation easier to resolve, or in some cases, harder. So it’s important for parents to know the best practices for dealing with the unpredictable, uncomfortable, and sometimes unrelentless situation of cyberbullying. The emotional response to learning that your child is being bullied is enough to make parents jump into immediate action, but parents need to be mindful of how their response can affect their child’s life, as well as their own. Two fathers in Minnesota learned this when they found themselves in the middle of a national news story, that left one father without his job, after getting involved with their children’s cyberbully situation. Brad Knudson’s daughter received racist messages from Deron Puro’s two sons, prompting Knudson to call Puro to try and resolve the situation. Matters only got worse when Puro was unwilling to help and exacerbated the situation by leaving his own racist voicemail to Knudson. Knudson was not silenced by Puro’s unwillingness to help. After reporting the situation to school and city officials, he took the matter into his own hands. Fearing that his daughter would become depressed and emotionally drained by the continued harassment, Knudson recorded and posted a YouTube video where he called out the bullies and asked them to own up to their actions. In the video, that was close to six minutes in length, Knudson also played the voicemail he received from the boy’s father, Puro. The video went viral, receiving almost eight million views, and caught national attention. The result affected both the boys and their father; Puro was fired by his employer, a financial firm where he worked as a contractor. Knudson and Puro’s situation shows how cyberbullying affects parents just as much as their children and how important it is to resolve problems in a healthy and productive way. Report threats of harm to the police. Report the situation to the school. Don’t quit until the bullying has stopped. If you know the bully’s parents and believe they will help resolve the situation, reach out to them. Encourage them to talk to others about it. Don’t hold their feelings inside. And not just you, maybe there is a special teacher or counselor at school they feel comfortable around, or friends. But don’t bully the bully with friends, keep the conversation about your feelings. Focus less on the situation and more on the things you love. Understand that the bully has issues that go deeper than the surface situation, they may have trouble at home or at school. Teach empathy, but also strength, no one should accept being bullied. Explain the seriousness of cyberbullying. Remove access to private online communication. Teach them to manage their stress in other ways. Seek the deeper problem or stress that is coming out as bullying. The best way to deal with cyberbullying is to stop the situation early. Use a system for monitoring your child’s social media to stay in touch with what is happening in their online world. With an app like MamaBear, The Ultimate Parenting App™ available for free on iPhone and Android devices, parents can easily connect and monitor the conversation on their child’s social media streams. Being aware and informed as a parent, and getting involved before there is an issue, will always be the best way to prevent a more drastic and potentially dangerous situation from occurring. For far too many parents, cyberbullying is a term they have heard but don’t quite understand. Parents can relate to and understand bullying on its own. It’s something they likely experienced or saw first-hand when they were kids and teenagers. But cyberbullying, which grows and evolves every day, is something most parents have never witnessed. Cyberbullying, the act of posting mean, intimidating or threatening messages online, usually anonymously, utilizing technology as the weapon is a much newer and different format. This disconnect leaves many parents in the dark when it comes to the actual severity of this issue. Despite what parents may think, cyberbullying includes far more than name-calling. Mashable recently shared two stories that show just how sinister a cyberbully can really be. Cyberbullying doesn’t always stay online. It can creep into real life, invade personal space, and create physical danger. Mashable reports that for two 12-year-olds in Texas, online comments turned into real life fear when their cyberbully sent message describing what the girls were wearing and doing while inside of their house. Just because the harassment is online doesn’t mean it will remain online. Cyberbullying can be just as serious as stalking. Posting tormenting messages through social media is only a portion of cyberbullying. People intending to bring harm to others may even use their own social media accounts against them. Hacking meets cyberbullying when an abuser attempts or succeeds into accessing an account owned by the victim. The bully-hacker may then change or delete their photos and information or post embarrassing photos and updates. 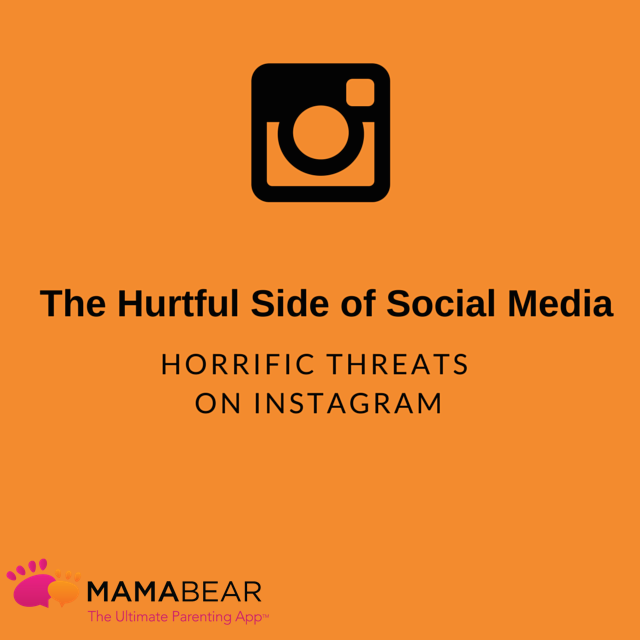 As the Mashable article reports, the mother of a cyberbullying victim became a victim herself when her Instagram account was hacked by her child’s abuser. The mom logged in to find her profile photo deleted and her bio changed to, “I’m a hater, lol.” During the same time, there were two dozen attempts to log in to her blog from an unfamiliar IP address. Smart cyberbullies can get into their victims’ personal accounts and use those accounts to cause additional harm. Hacking paired with cyberbullying can go even further. The same family dealing with account hacking found their entire home wireless network compromised when they lost administrative privileges for the network. The family ran a search and found four different IP addresses assigned to their home network. Two of those addresses were linked to a small town over 50 miles from their home. Struggling to find out what could resolve the security issues, the family spent over $6,400 on cell phone bug detectors, home security systems, a private security network, cell phones, a laptop, router, and printer. The hacking created a scary and expensive situation for both child and parent. One of the best ways to help your child and family fight cyberbullying and the dangers that come with it is by being proactive. Parents need to get involved with their child’s Internet activity early on, discuss online etiquette, expectations and rules of behavior, and monitor their engagements online. Monitoring and identifying problems early on is essential to helping our kids safely navigate their evolving digital environment. Also, making sure you, as a parent, have an open door policy for your children to come to you and discuss what they might see as issues or problems as they navigate their online world. 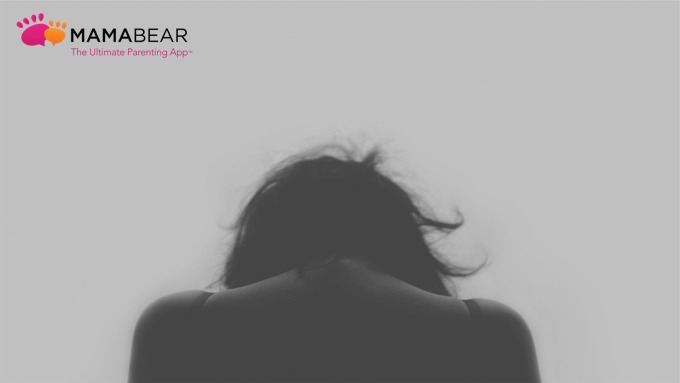 With the help of MamaBear, The Ultimate Parenting App™, you can easily see your child’s interactions on social media, know what they post, know who their friends are and know if they are being approached or bullied. This enables you to identify problems quickly and help your child put a stop to the situation before it grows into a more complex and dangerous situation. The Mama Bear app is free and available for both iPhone or Android devices.